Any business venture or creative project may have or develop intellectual property (IP) rights. IP exists in ‘creations of the mind’, such as inventions, designs, computer software coding, artistic works, images and brand names. The law gives protection to some of these ideas and products, but often the creator or owner of the IP will need to take positive action to secure that protection. It is easy to see how copyright applies to an artistic work like a novel, artistic design or a song. But IP protection can also apply, for instance, to a business name and logo, to trademarks and patents, design rights, database rights, data protection, trade secrets and know-how, and website and domain names. A brand can become one of the most valuable assets of a business and a major part of its intellectual property (IP). If you go into Starbucks, you have certain expectations about the coffee you buy. “Starbucks” is an information shortcut for consumers, and therefore an extremely valuable asset for the company. The term “to google” has entered the language, and Google the company owns the copyright on the word. – Created: the business will need to ensure any proposed product or design does not infringe existing IP rights. – Registered: it will need to register the brand in the correct class at the UK Intellectual Property Office (and in other jurisdictions). – Managed: IP rights need to be reviewed, updated and renewed. – Protected: IP rights must be appropriately and vigorously defended, with swift and decisive action taken to ensure they are not abused. The best time to consider how to protect IP rights is at the beginning, i.e. before starting any creative project or business venture. Whether the IP owner is a business, a partnership, an institution or an individual, it is important to procure, protect and enforce relevant IP rights to guard your brand. Ensuring that the right protection is in place at the outset provides legal security for the results of hard work and creative energies, and ensures IP can be defended should others try to exploit it. IP rights would be of little commercial value if they could not be enforced. 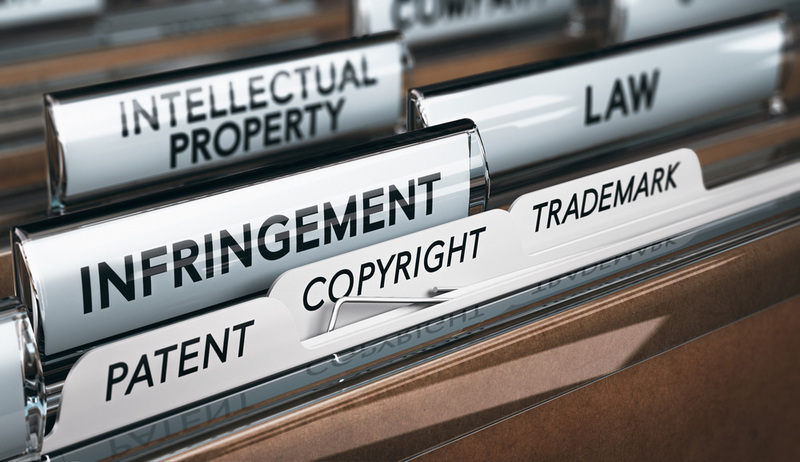 If another business or individual is or may be infringing your IP rights, the first step to take is to contact them as soon as possible to notify them that you are aware of the infringement and ask them to cease their actions. If the dispute continues, you may need to apply to the court for an interim or permanent injunction, possibly tied with court orders: search orders, asset-freezing orders, disclosure orders, and orders to deliver up or destroy infringing articles. You can also make a claim for damages. We support, assist and represent clients in the enforcement of their IP rights by formulating effective strategies for dealing with infringements. See the Case Studies below. We act in all aspects of the process: pre-action, litigation and trial. We will always have economy, efficiency and quality of service in mind. We offer expertise in relation to both bringing and defending claims. A client noticed that its distinctive logo was being used (with very slight changes) by a competitor business on its website, meaning a clear threat to its customer base and possible reputational damage. Its customers were buying services from the competitor thinking that it was the client. Our robust letter of claim and demand that the logo be changed led to the desired result within 24 hours. In light of the quick response, the client decided not to pursue a claim for damages. A designer in India formed a joint venture with a UK company to produce and sell its women’s fashion designs. It spent several weeks preparing designs and passed them to the UK company. Having heard nothing for some time, it investigated and found that its designs were being marketed by an online retailer. The designer contacted us, and we found that the online retailer was in fact being run by the UK company. Swift action led to the immediate withdrawal of the designs from sale and a satisfactory settlement.